Many people are getting involved with the Ellicott City Western Howard Democratic Club for the very first time. They have questions about how our political process works. 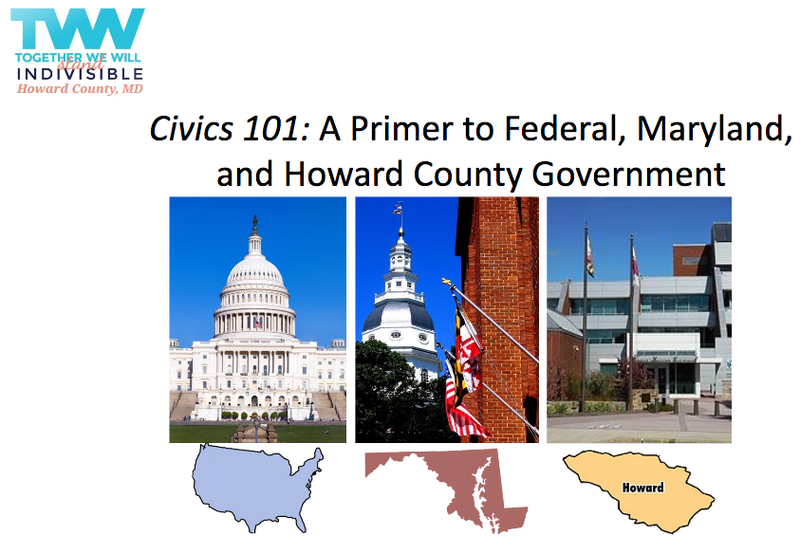 Together We Will, a new, activist group in Howard County, shared these informative slides with ECWHDC to provide basic information about elected officials and the political process. If you have additional questions or comments, please feel free to send email us. Thanks to Together We Will for sharing.